The increased use of e-cigarettes to quit smoking has caused a lot of debate and uncertainty of how safe it is and does it lead to chance that more young people will see it as a way to smoke. Some interesting new information has come to light. Don’t call it smoking. Among young adopters, vaping is fast developing its own language, subculture and technology. Far from being a way of quitting cigarettes or, as some fear, a gateway to taking up smoking, e-cigarettes are more like a hobby for many. New research suggests that today’s youth do not view vaping as a form of smoking and have little interest in the nicotine content of e-cigarettes. They are more interested in the wide range of flavours and tricks associated with it. A six-month research project, funded by Lancashire county council and published on Monday in the journal Drugs: Education, Prevention and Policy, explored trends in smoking-related attitudes and behaviours among people aged 14-25. 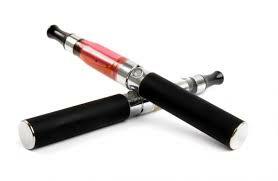 It found that only 28% of participants who used e-cigarettes said they did so to help them stop smoking. Young males were drawn to vaping because of the tricks they could perform.